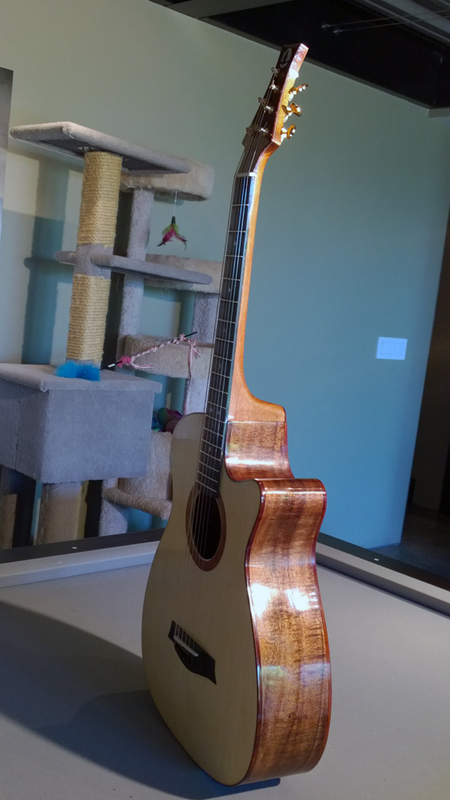 This is the first in a series of guitars I built for nieces and nephews of mine. It is built using 1905 Martin Parlor plans as the basic template. Basically a Martin O sized guitar. This was an X braced guitar. 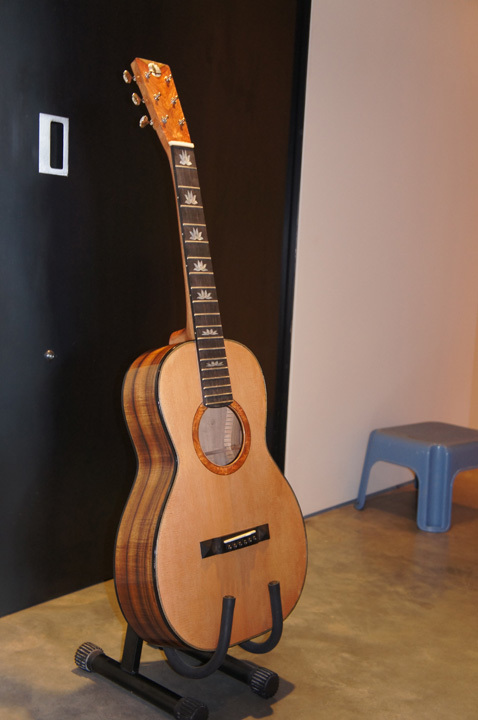 This guitar was built from a kit offered by Waldron Instruments. 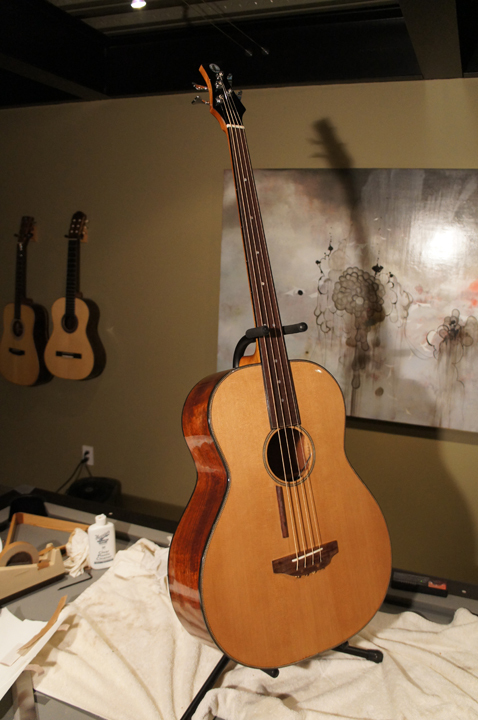 I wanted to make an acoustical bass and through research had found plans offered by Mark Stanley for his bass guitar. 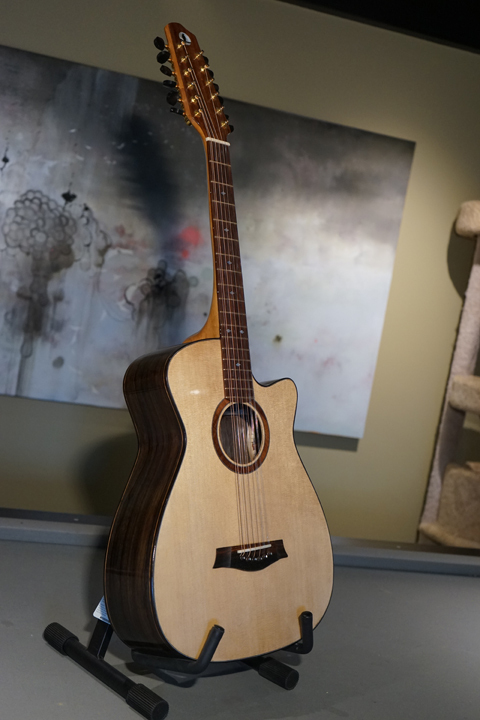 The guitar was built very close to the Mark Stanley plans and sounded great. I did not have it long before a bass player bought it. 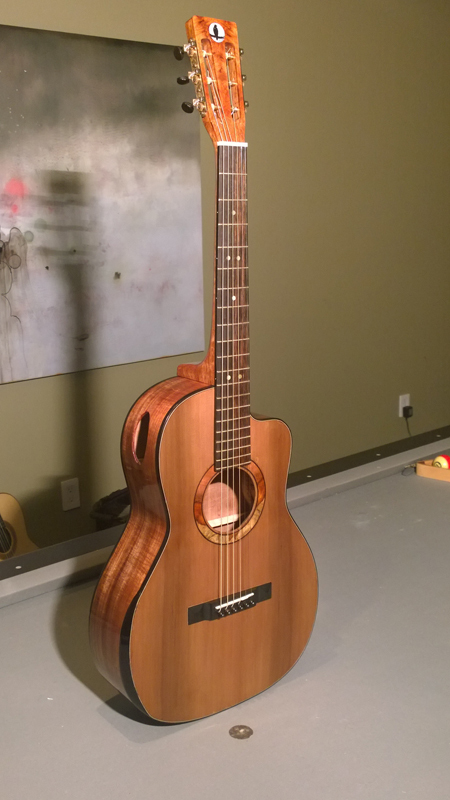 This is the another in a series of guitars I built for nieces and nephews of mine. It is built using Martin 00 plans as the basic template. 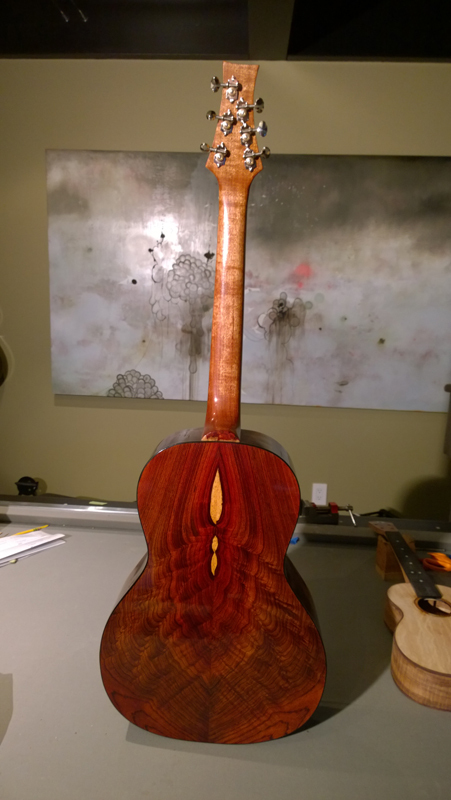 The guitar has waterfall bubinga back and side set and a sinker redwood top. This was an X braced guitar. This is one of two of my own everyday guitars. Featured in the video on the top of the page. 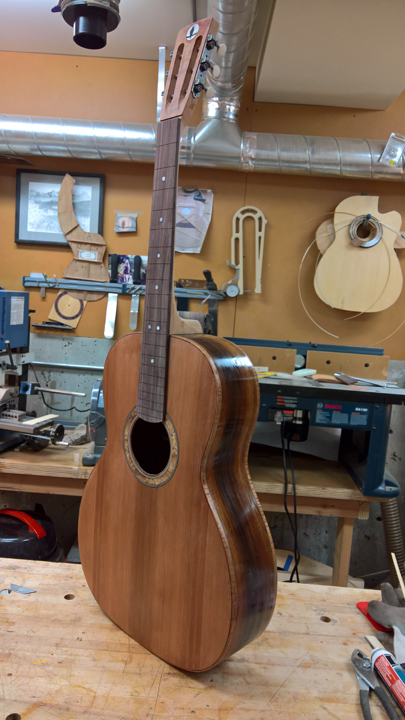 It is an X Braced Martin 00, I love the confort of that size and the 12 fret to the body version has wonderful rich basses. I tried a bunch of new features on this guitar. It was my first cutaway and I put in an arm bevel as per Kent Everett DVD. This is Martin D sized instrument. 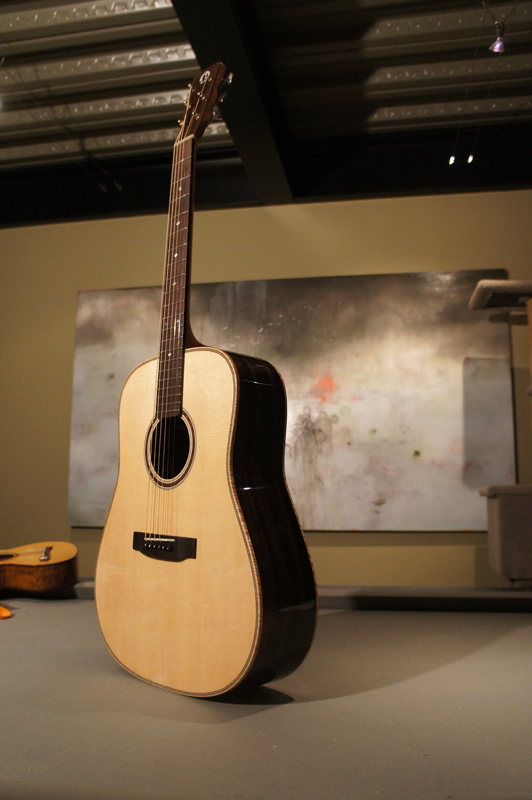 This guitar was my first commissioned for an acquaintance who wanted a guitar to play bluegrass. The guitar follow plans I have for a Martin D28. I want that characteristic Dreadnaught sound. This is my first falcate based guitar built using Trevor Gore's plans for a falcate braced medium size steel string guitar. I mostly followed the build proceedure in the Gore\Gilet build book Contemporary Acoustic Guitar Design and Build. My classical guitar instructor loved how it sounded and its response. I beleive I have a vedeo of him playing it in the vidio index on the site. 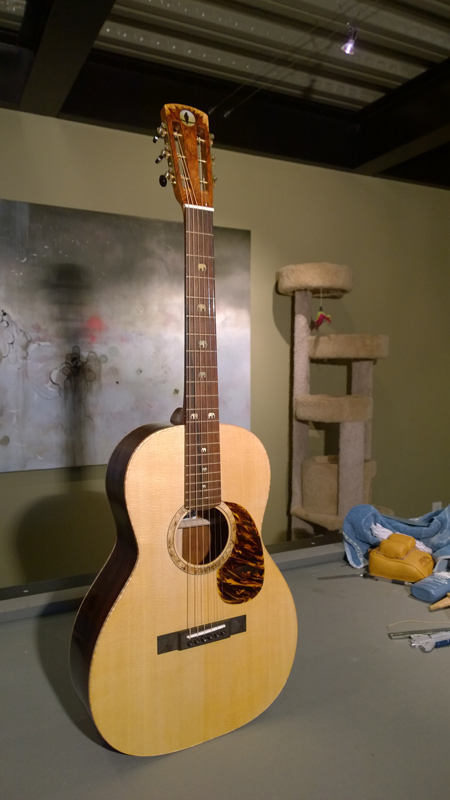 This guitar was commissioned after the customer spent an hour or so playing my 00 Martin style guitar. He really enjoyed the comfort of that guitar. 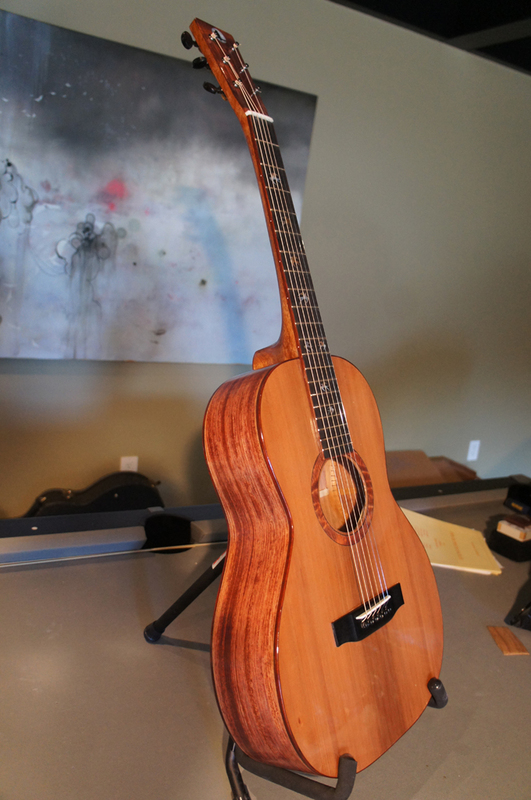 He loved the set of cocobolo I had and he wanted falcate braces, 14 fret to the body, a cutaway and an arm bevel. Later on he also bought one of my falcate braced classical guitars for some recording he was doing. My nephewâ€™s spouse commissioned this guitar as a Birthday gift for my nephew. 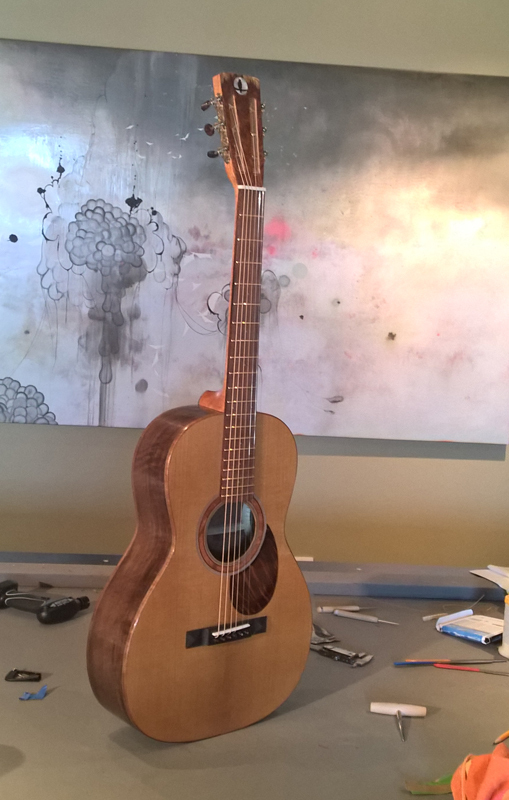 (I gave her a very good deal) It is an X-braced Martinish 00 Claro walnut and terrified spruce. 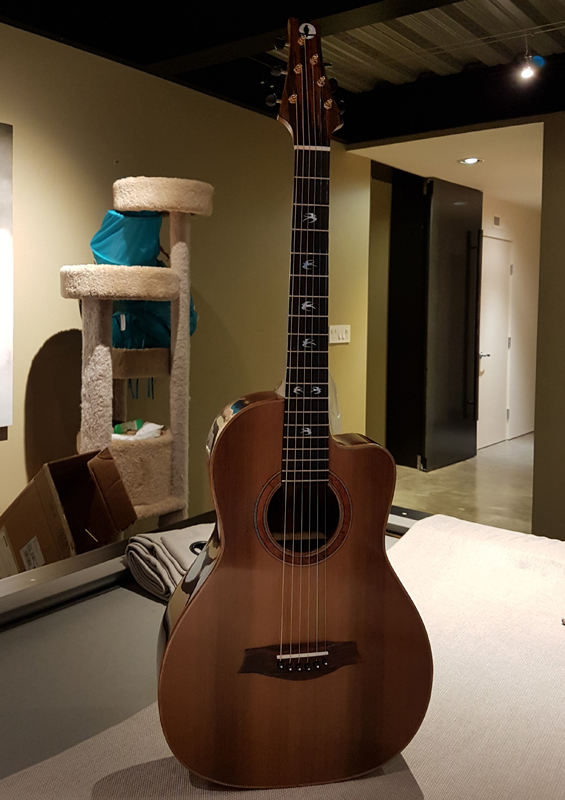 I was just building this guitar for fun when my wifes Aunt texted a photo of the work in progress to a freind. Within a few days her freind asked to purchase the guitar when completed. The very figured wood later showed some surface cracks on the figure. So I am going to take it back and try to stablize the wood. It went through a winter in Michican so it may be humidity damage.